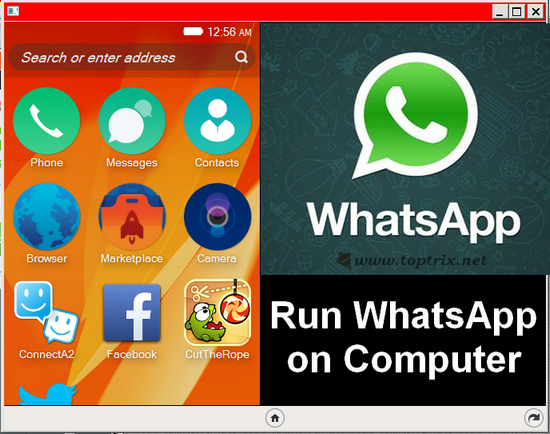 If you wish to run WhatApp messenger on PC, you can do it very easily. No need to install BlueStack or something like that. This is very easy and straight forward method using Firefox OS emulator. Many peoples ask, if they can run the famous WhatsApp mobile application on their PC. There are already many tweaks to run the Android applications on computer using the BlueStack Android emulator. But the BlueStack is so complicated and poor performance on low end machine, most of users leave it without success. The method given here using Firefox OS emulator is very easy and simple. Anyone can use it and irrespective of the platform. 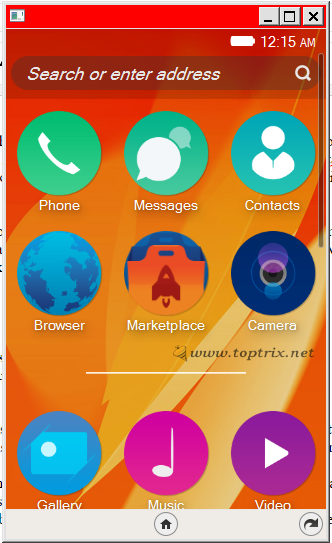 You can run Firefox OS emulator on Windows, Linux of Mac OSX also. 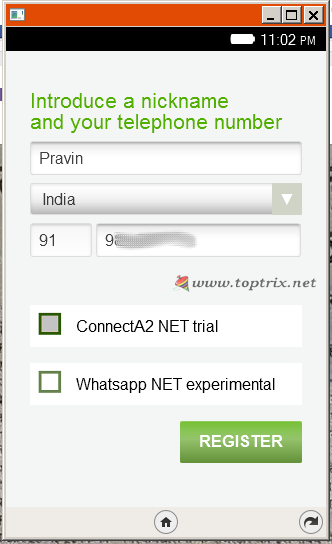 Where ever you can run the Firefox browser, you can run WhatsApp there. Firefox Browser. Download Firefox browser from here. Firefox OS Emulator. Download Firefox OS Emulator here. Download version 2.0 or later. Download and Install Firefox browser. 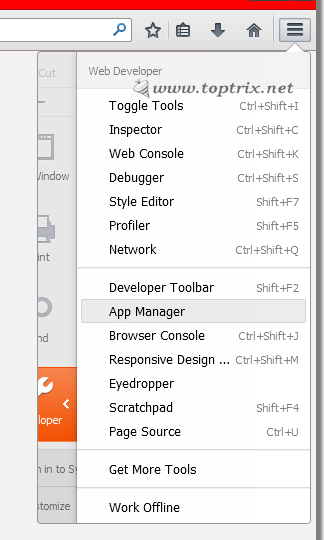 Press CTRL + O and open the Firefox OS emulator file from Firefox browser. 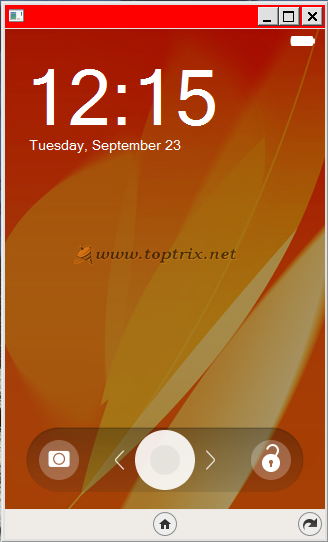 Click Install, to install the Firefox OS emulator to the Firefox browser. This will open the App Manager tab. Click on 'Start Simulator; button and then on 'Firefox OS 2.0. A Firefox mobile like new window will open. This is your Firefox mobile phone. Slide and unlock the screen. GO to 'Marketplace' and install 'Connect A2' application. Once installed, you have to register your mobile number. The procedure is similar to standard WhatsApp messenger. You have to verify your mobile number by entering the OTP (one time password) you get on via SMS. Please note that, you can use your mobile number at any one place at a time. Either mobile device or firefox emulator. You can use different number here to avoid that. If you register using the same mobile number, which you are already using on your mobile device, you will be unregistered automatically from the mobile. Now you are ready to use the WhatsApp on your computer. To get your friends on the chat list, go to 'Contacts' and save the mobile number of your friends and then refresh the WhatsApp / Connect A2 messenger. You will get all your WhatsApp friends here also. Read Ultimate Tips For WhatsApp Addicts to use WhatsApp hidden features. You can add text, images, emojis and more. The best thing is, the emulator does not forget anything. All the contacts, messages, chats are saved exactly as a mobile phone. Why not try now. I was waitting for the same dear.. Thanx for the trick..
how to auto lunch the emulator everytime i turn on my pc ? is there any workaround for that ? You can put the Firefox to Autostart program in Windows. But then you at least have to run the emulator. चालु झाले परतुं मोबाईल नंबर कसे घेणार ? If the particular number have WhatsApp account, that will be shown in the new chat list. 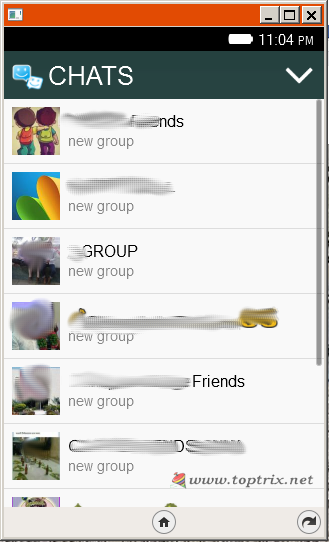 It doesn't seem to allow me to add new contacts only groups and that doesn't seem to function too well. It also is missing many contacts and is populated with only some of my contacts. What shall I do? Thank you. To get those contacts in to Whatsapp, you have to first save them in to 'Contacts' of the Firefox mobile. Then only it will show up in Whatsapp. Hope, this will solve your problem. Other unwanted numbers, you can delete them from the same contact / phone book. Thank you so much for the trick. Really helpful..!! Your answer 4.a is not working.. what to do?? Got it..!! Got it..!! Thank You..! !